I finally got iOS 9 today! 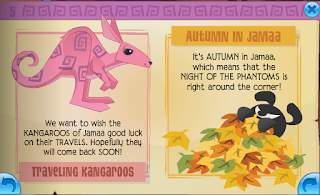 Today we have the jamaa journal update! So lets hop right to it! 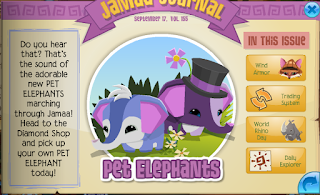 On the first page we have new pet elephants that were in the contest for pets a few months ago! The lil ellies are sooo darn cute! 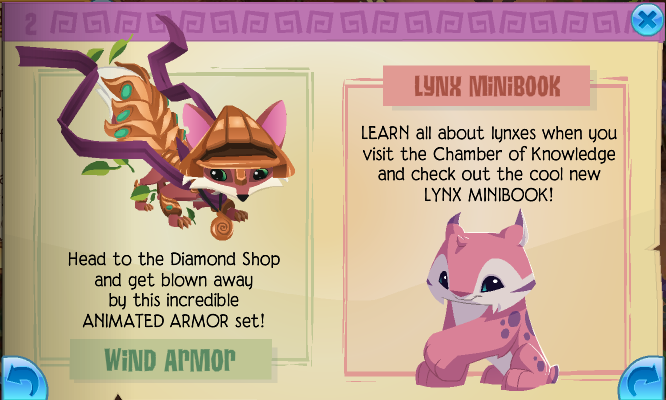 On the second page we have returning wind armour and a new mini book for lynxes! Wind armour yay! Im not that type of person who gets armour. The only armour set I actually have is the ice armour from a membership I got! 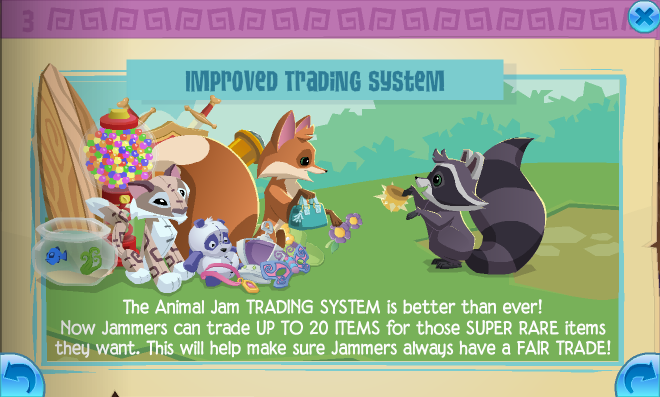 On page 3 we have a new and improved trading system! You can now have up to 20 items for a trade! This could mean LESS SCAMMERS YAY! 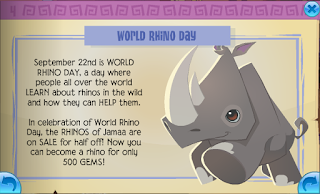 On page 4 we have rhino day! Yay now you get rhinos for half the price! 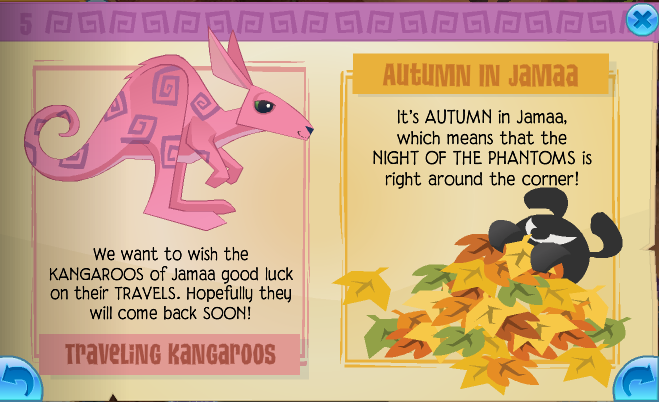 On page 5 we have travelling kangaroos and a reminder about niht of the phantoms! Bye kangaroos! Can't wait for the night of phantoms! 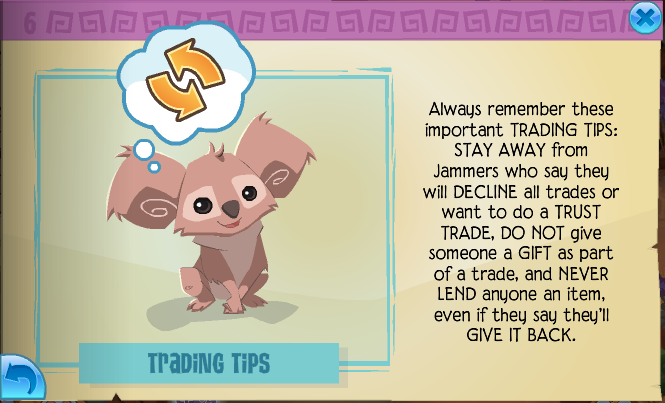 On page 6 we have trading tips! YES YES YES I GOT 100 diamonds! Its the highest Ive ever gotten!!!!!!!!!!!!! 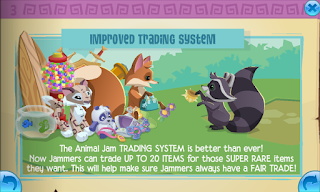 That trading picture with the fox and raccoon, XD! 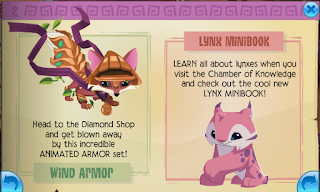 The fox all has like 13 items that its giving away, and the raccoon only has one spike wrist! XD! It seems like a sorta, um, OVERTRADE, but then again that stuff is not what people normally call 'fair' nowaways.